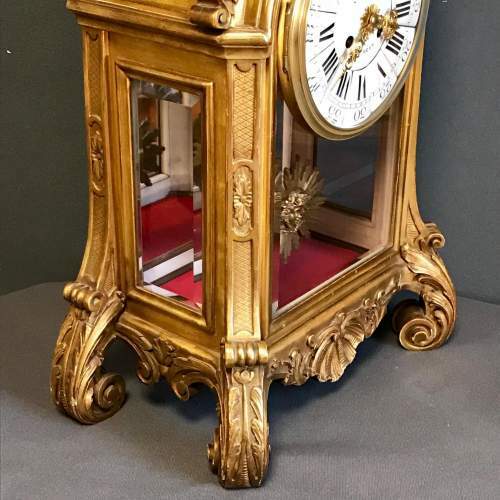 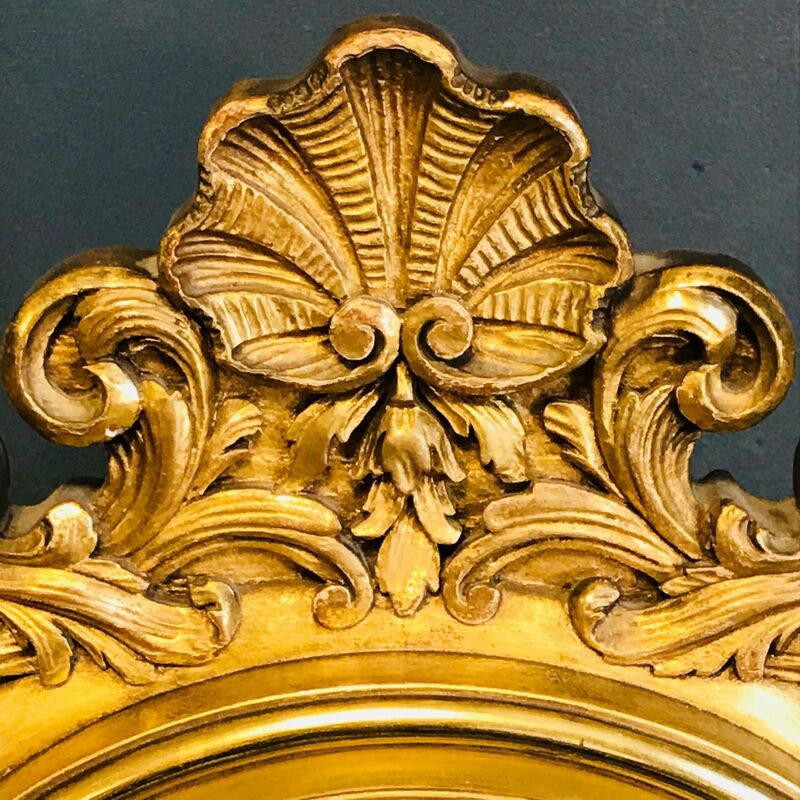 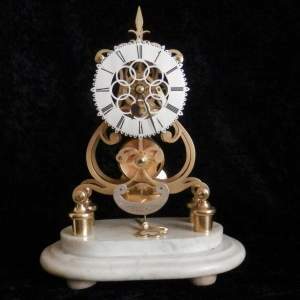 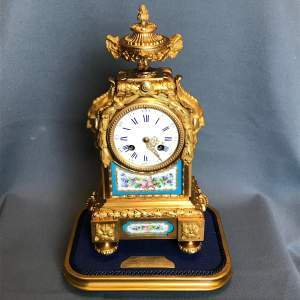 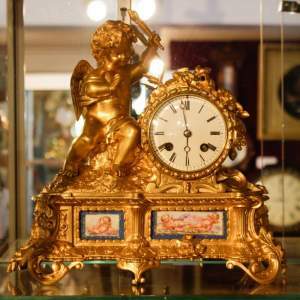 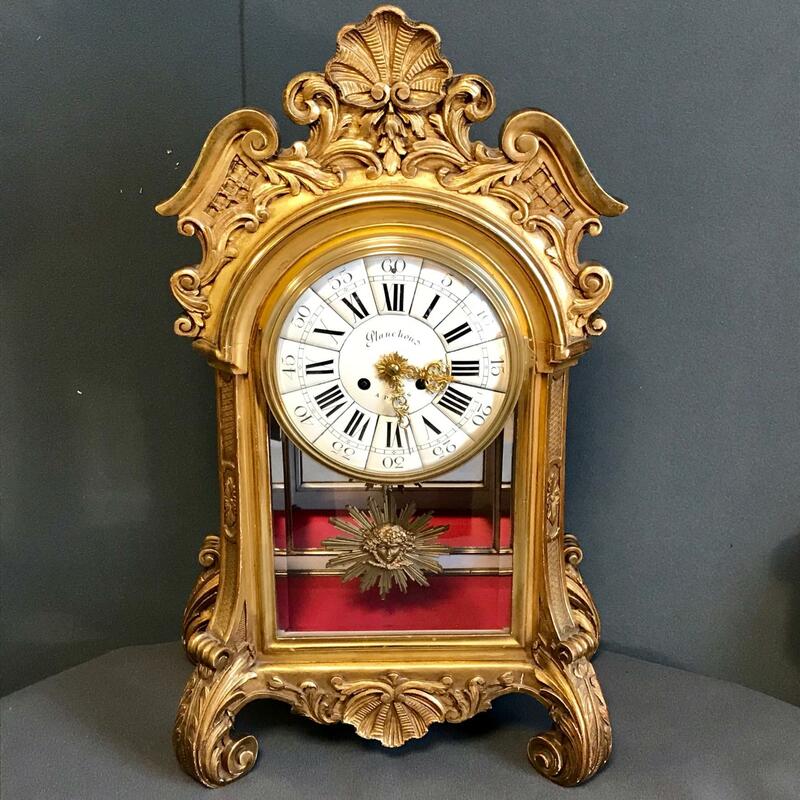 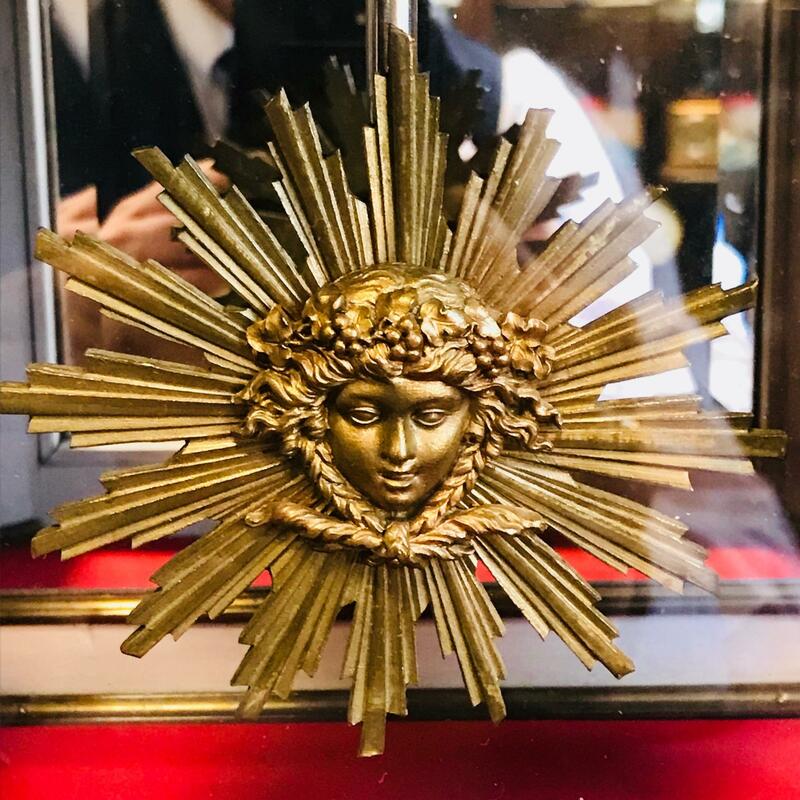 A very good quality unusual giltwood French mantel clock by Planchon of Paris. 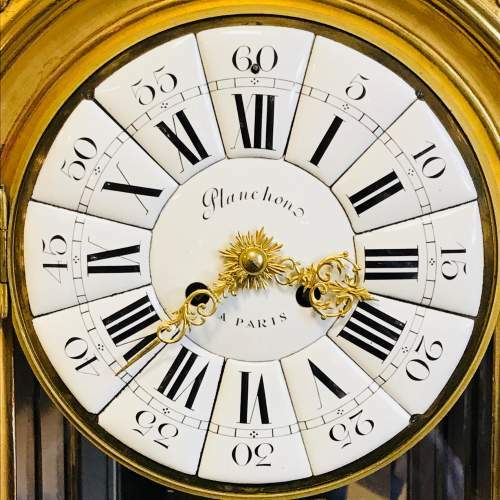 Bevelled glass panels and boasting a 7” 13 Piece Cartouche Dial. 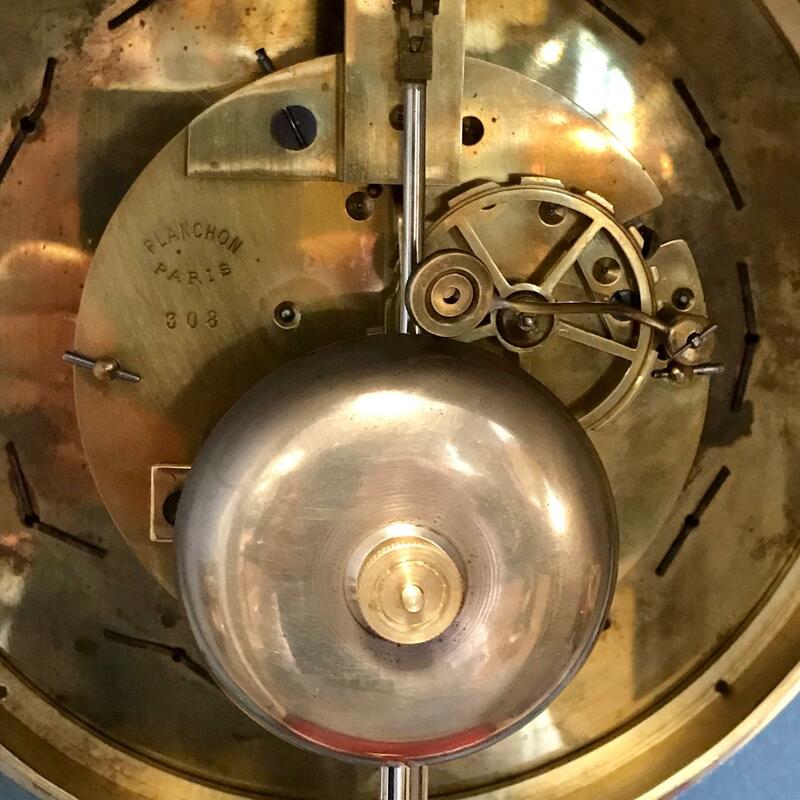 Striking on a bell, in full working order.